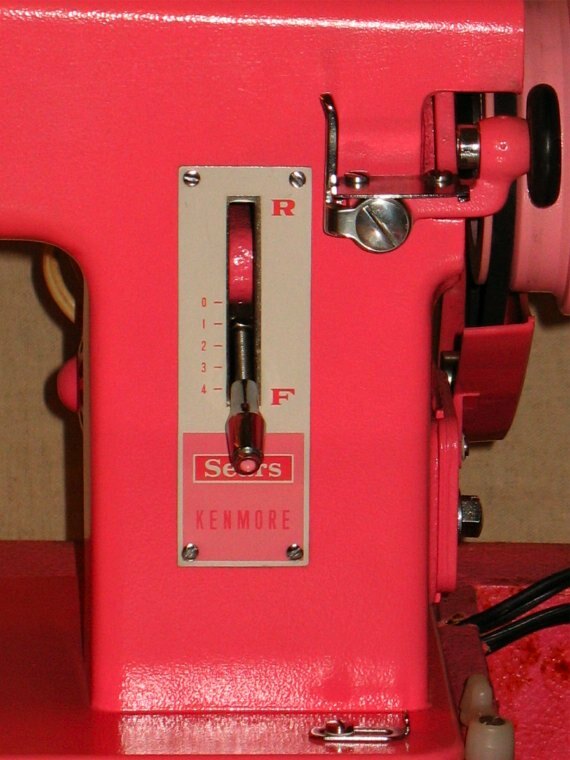 This girly pink Kenmore sewing machine is a straight stitcher only. It was made in Japan, possibly between the mid 1950’s to late 1960’s; I have not been able to verify the exact manufacture date. 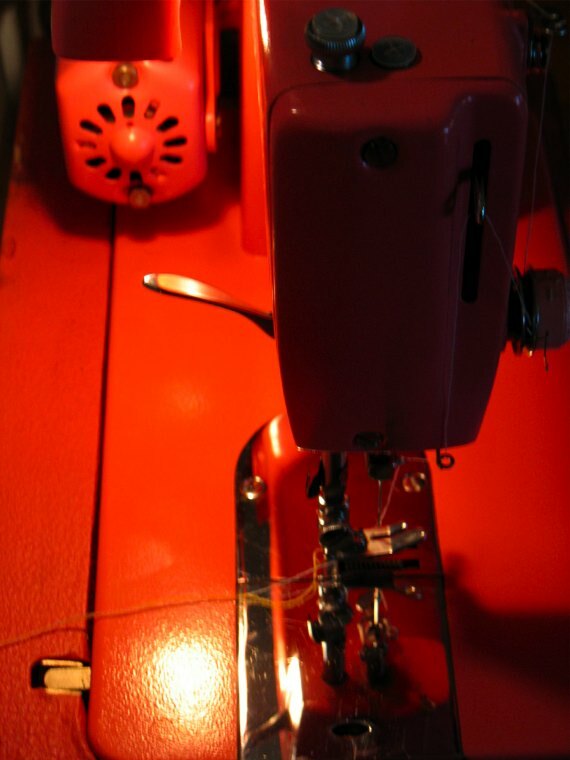 This small tank of a sewing machine makes a really good straight stitch, the stitching is really consistent and just about perfect. 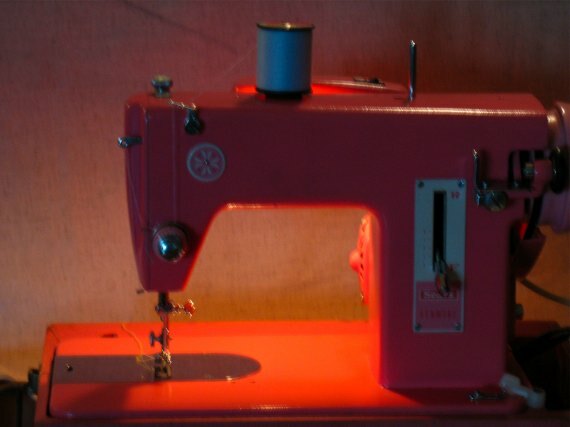 This sewing machine is an all-metal gear driven mechanical sewing. My machine came with the original case, however I have not been able to remove all the marks from it. 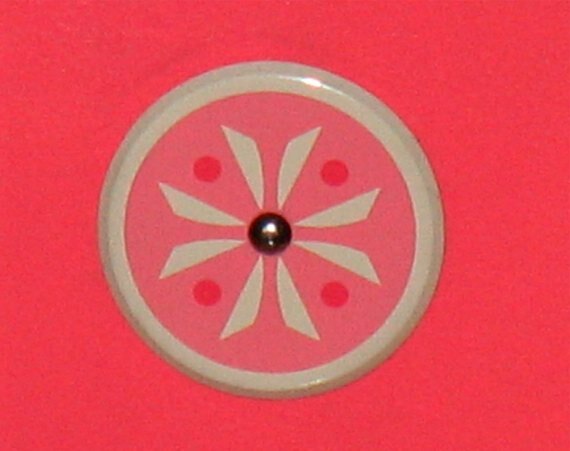 I am sure this creamy ivory & pink color combination looked lovely when it was new. 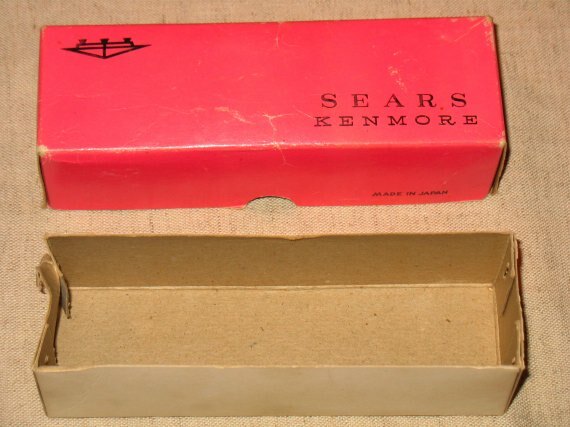 Also included was the foot controller, and a pink cardboard box with 2 bobbins. 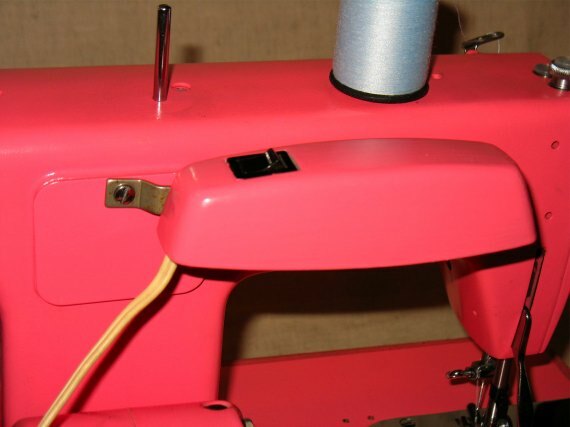 The base that the machine sits on has a nice little compartment on the right side to store bobbins, thread, needles, etc. The feed dogs on this machine cannot be dropped for free-motion sewing or drawing. 😦 Not a biggy but it is nice to have. 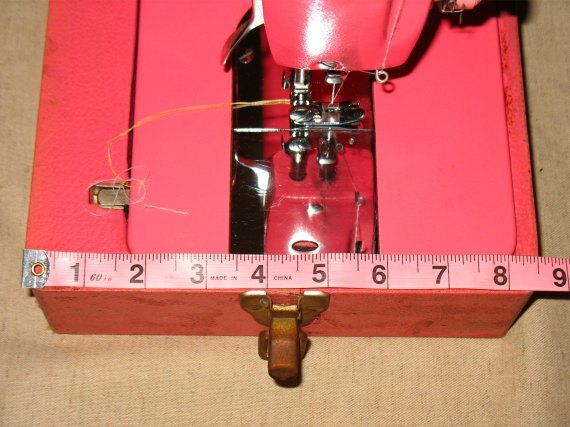 This machine has a reverse stitch lever; handy for fastening a seam. 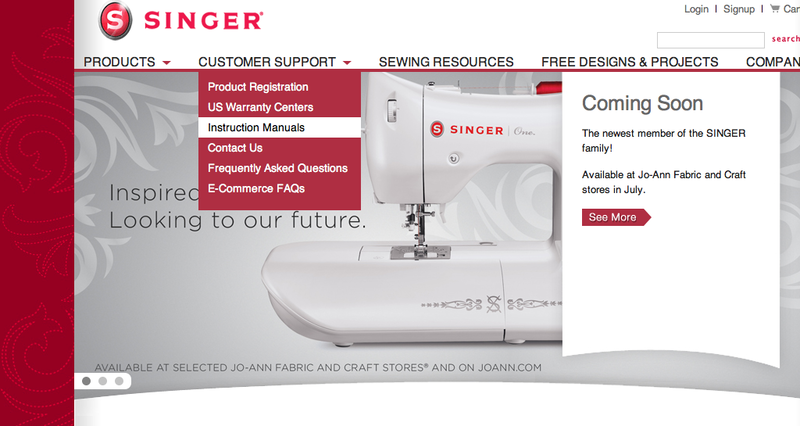 You just lift it up all the way for reverse stitching. 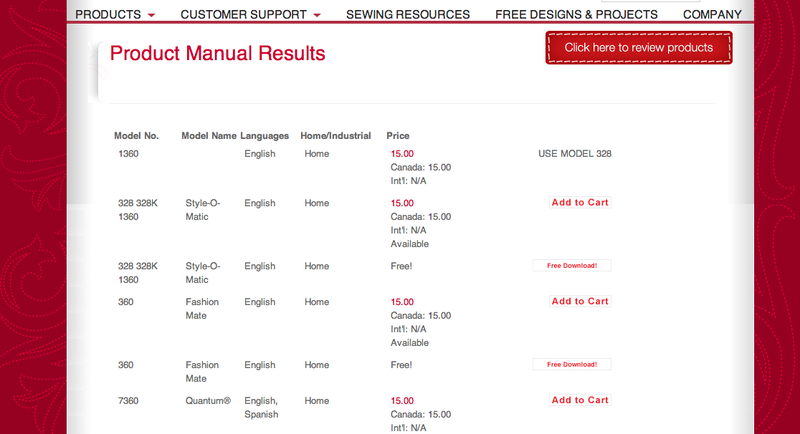 It uses very difficult (nearly impossible to find) shuttle bobbins and Standard 15×1 needles sizes 11 through 18. Interesting. 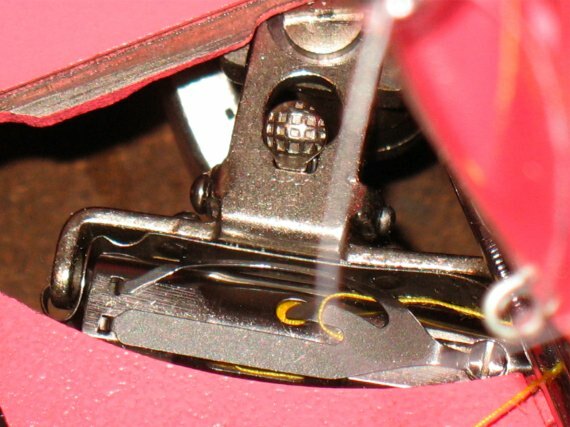 Have a look at the shuttle and bobbin! 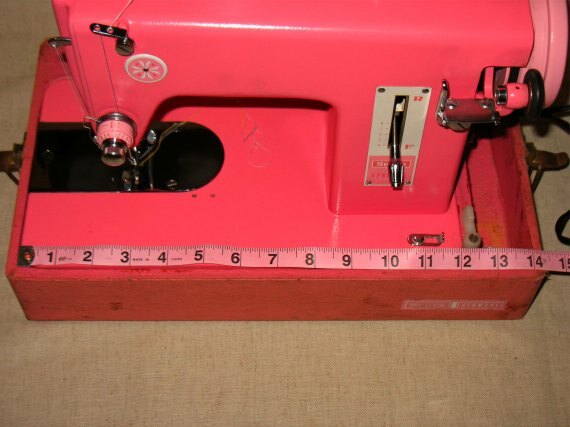 I came across some interesting information by a former Sears salesman regarding this pink sewing machine. 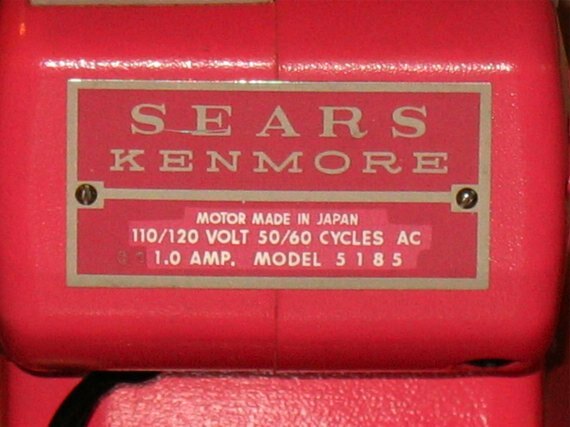 Apparently this machine was a “Bait Machine”, not meant to be sold, and Sears saw to it that only a few be made/sold. It is not a rare machine, there are a few of these out there. Each store only got one and that one machine was expected to last through many “sales”. 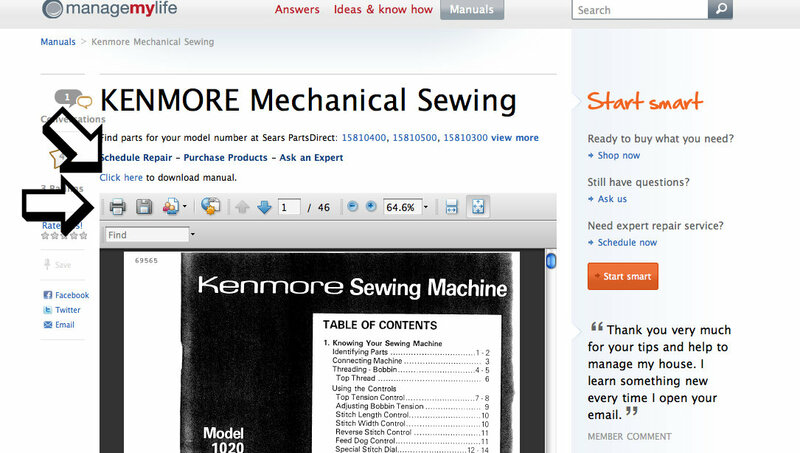 The ads for this sewing machine ran in black and white and listed the machine for a modest price. 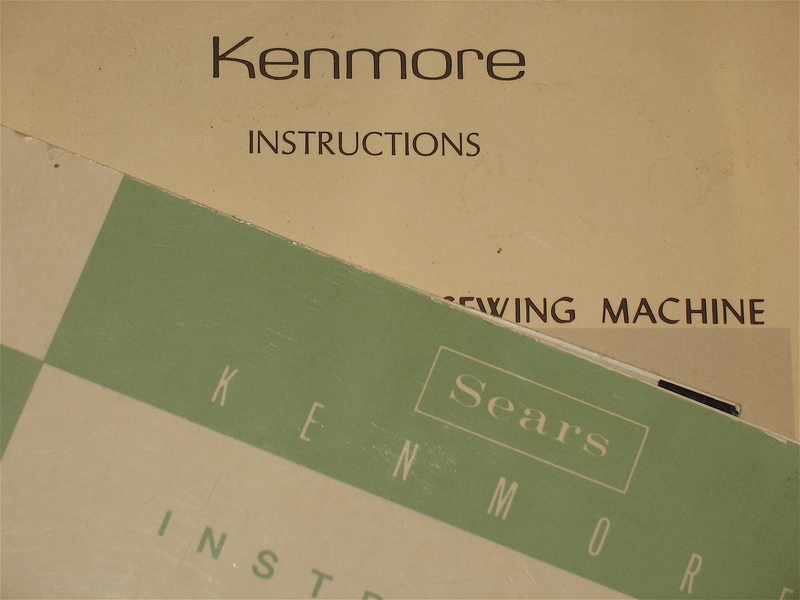 In addition, the plates were made in such a way that they resembled a standard 15 type sewing machine so that people thought that it was what they would find when they got the store. 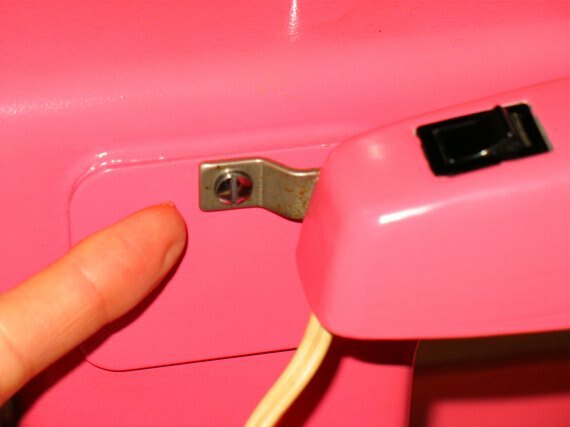 At that time, pink was not a popular color. 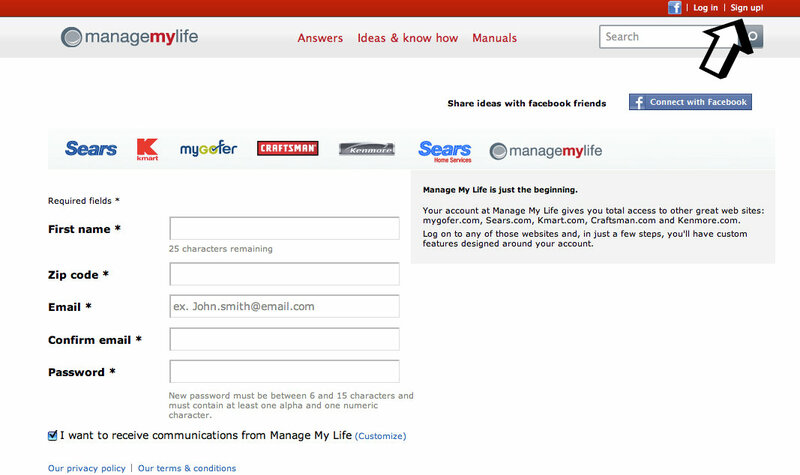 This, and the way the demos were conducted by the salespeople, led to the customer leaving the store with a “better” model. When a customer wanted to see how this machine ran, the sales rep would purposely run it wide open and at high-speed so it sounded like farm machinery (pretty accurate comparison) and almost jumped off of the table. 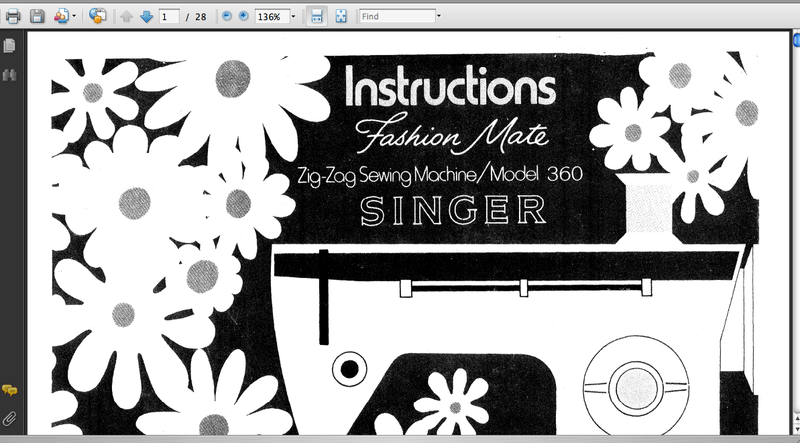 Now I know why this sewing machine is so noisy AND no wonder I cannot find those bobbins! It was built for a very specific purpose. 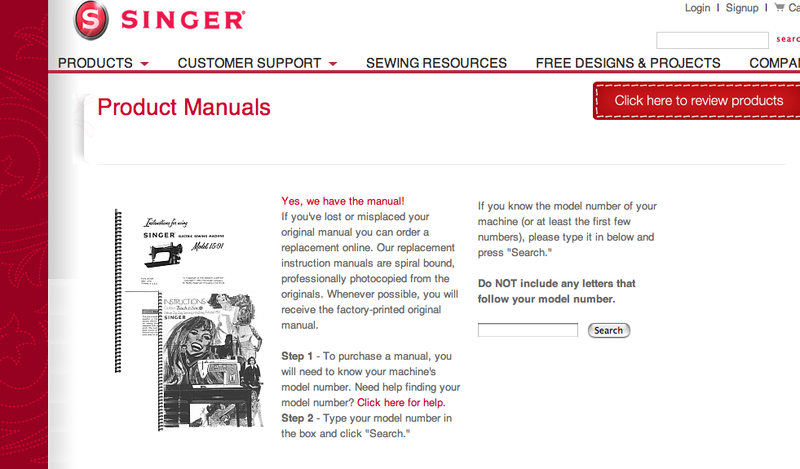 Anyway, back to the machine…. 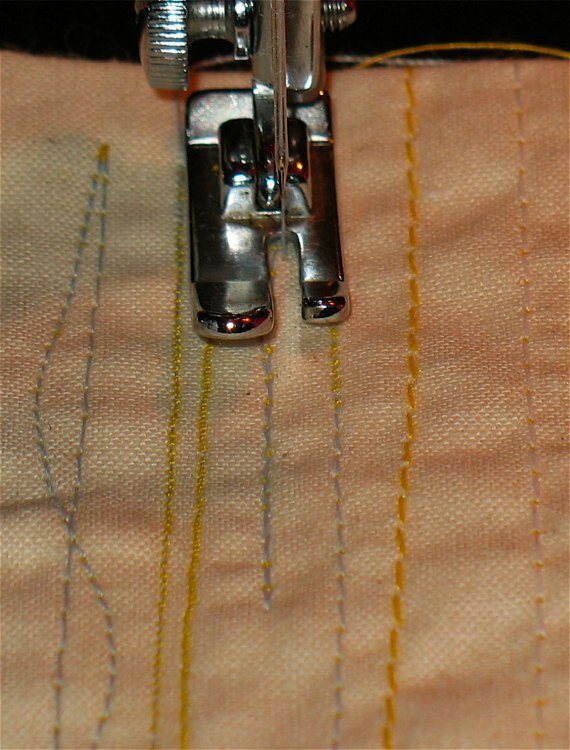 This machine can make really tiny stitches, here is a photo of the different stitch lengths on a piece of cotton muslin. 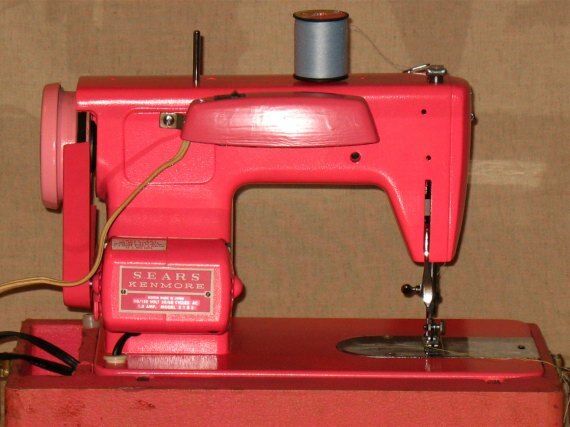 Per the Sears website, the purchase of a machine like this (if you could wrestle one out of the sales rep) back in the day included a hot pink box like the one pictured above with a package of needles, s small screwdrivers, 3 shuttle bobbins, 2 spool pins and 2 felt washers for the spool pins. 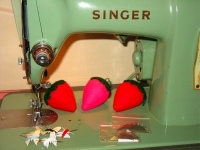 I do not sew on this machine regularly but I do take it out once in a while and sew up a project just to keep all its parts moving properly. 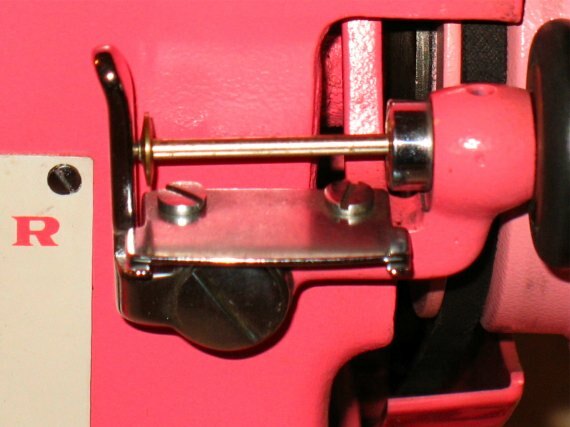 Here is a close-up picture of a very funky bobbin winder. and a close up of a cute medallion badge attached to the front of the machine. 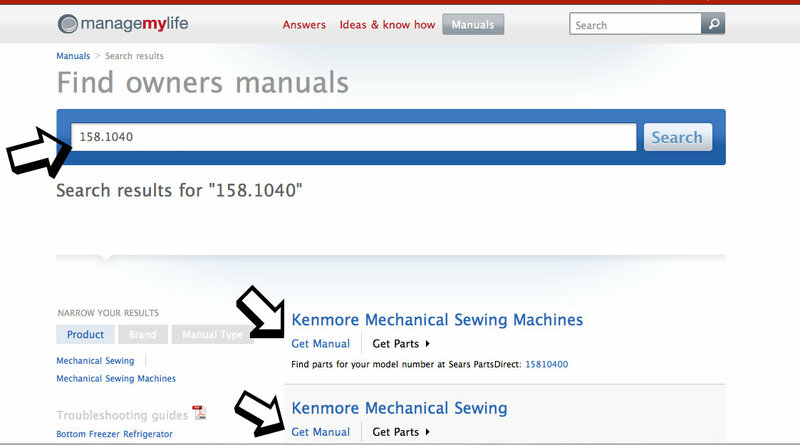 A good strong motor is good to have especially when sewing heavier fabrics; the Kenmore 159.110 has a 1.0 amp motor which can handle sewing silk to woolen coating fabric. 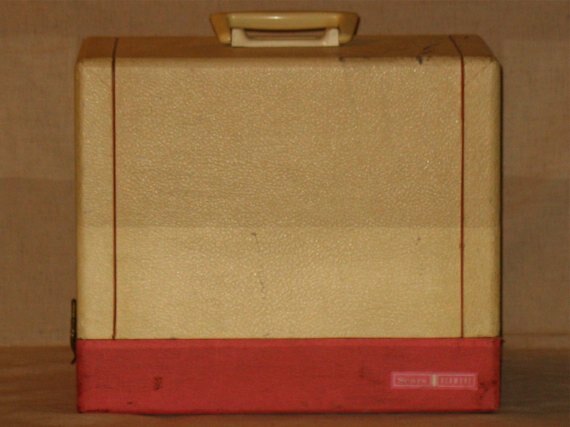 Like many vintage sewing machines with all-metal gears, this little machine is heavy, 30 pounds (with the top of the case attached)!!! This is a 3/4 sized machine so if space is an issue in your home this one will not take up a lot of space. 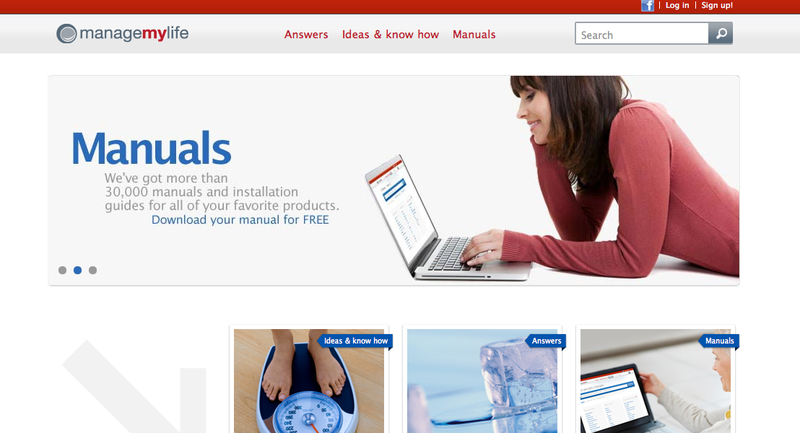 Due to its weight, you may want to have a sturdy table to place it on though. Take a look at the next couple of photos to get an idea of the size. 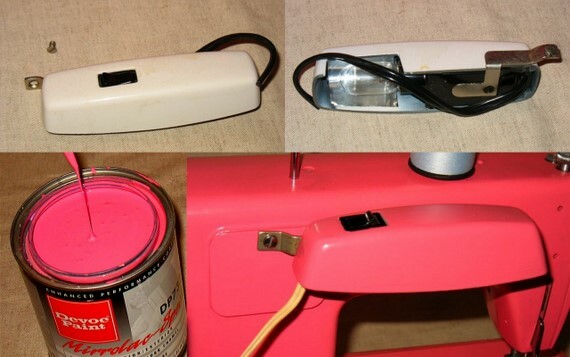 This machine did not have a light attached to it but I purchased one and had my local hardware store match the sewing machines color so I could paint the light fixture. I could have left it white but I’m nerdy like that. 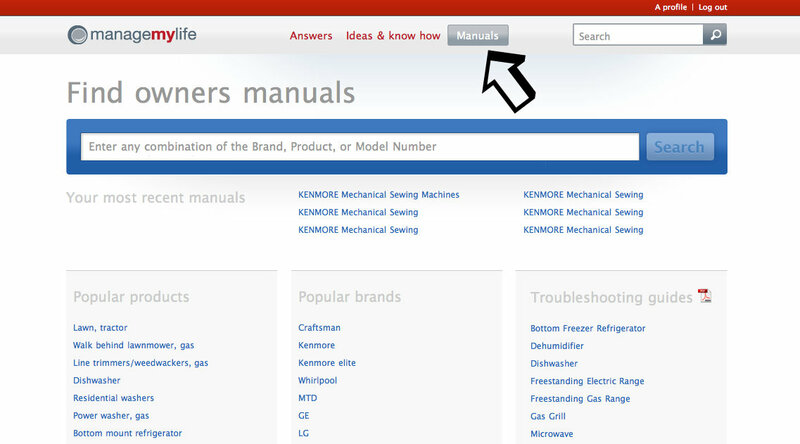 Besides, who can sew without a light on their sewing machine? I attached the light to the plate on the back. 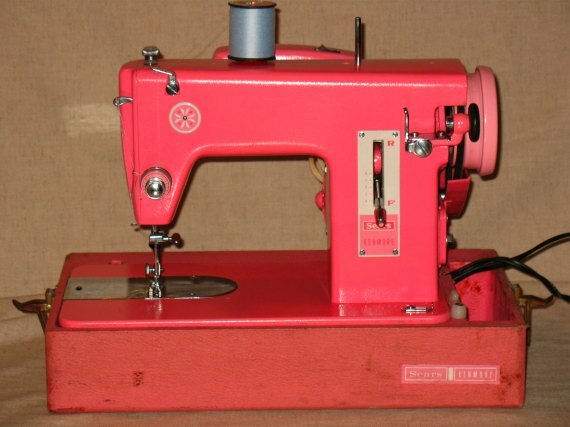 As mentioned on the features list above, this is a straight stitch machine so if you are looking for decorative or buttonhole stitching this machine does not include either. 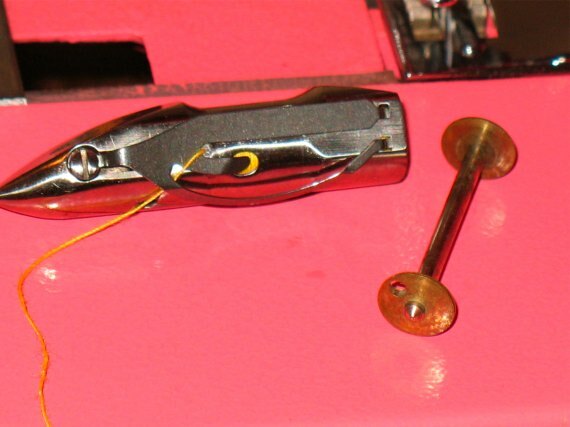 Although I have not tried yet, a vintage low shank buttonholer attachment could work just as well on this machine. There are also vintage zig zag attachments out there on the web for sale that may be used. 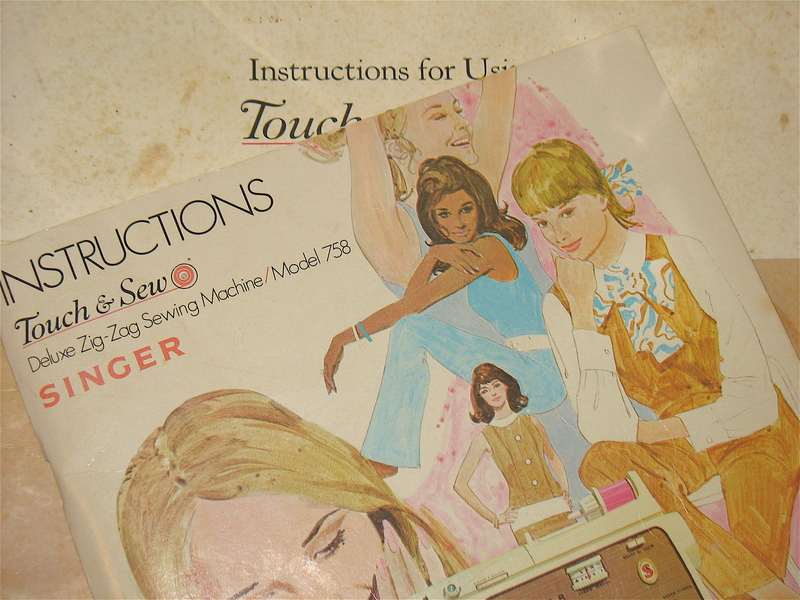 I have a small collection that can be viewed here on my Vintage Sewing Machine Attachments page. 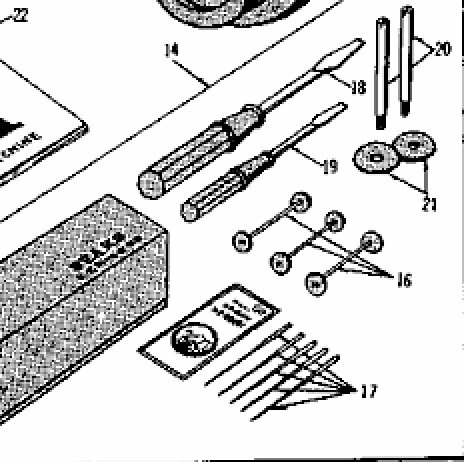 The last and most important reason: the shuttle bobbins are nearly impossible to find. I only have two and take care of them as if they were gold. 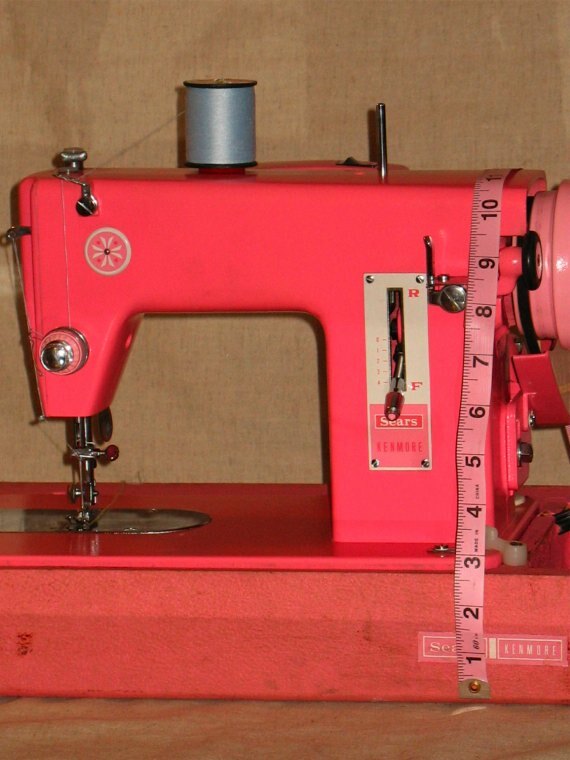 Overall it is a decent sewing machine in a cute color but finding replacement parts or bobbins will make you want to pull your hair out of your head.